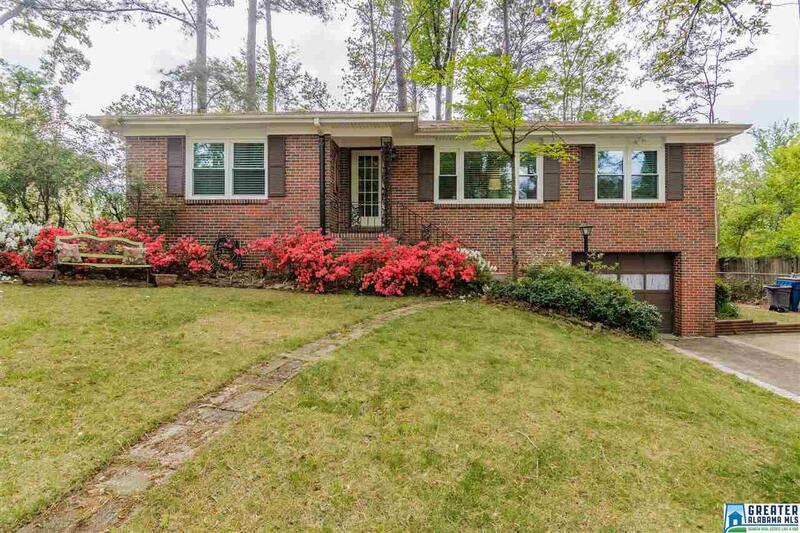 703 Briscoe Rd, Homewood, AL.| MLS# 846534 | Richard Jacks UABLIVING.com 205-910-2297 | Birmingham AL Real Estate | Contact us to request more information about our Homes for Sale in the Birmingham AL area. Updated Hollywood Cottage on a quiet dead end street! This home has loads of character plus a new roof 2017, new windows 2018, high efficiency Trane HVAC +/-2011, updated electrical panel, newer kitchen, newer sewer line, renovated master bath plus great colors and fabulous outdoor living. Walk inside and you are welcomed by a light filled living and dining room with large windows, beautiful hardwood floors and smooth ceilings. The kitchen has been completely renovated with high end cabinetry, glass front doors with accent lighting, stunning granite, glass tile backsplash, recessed lighting, new fixtures, stainless appliances, island and pantry. The bar area opens to an inviting keeping room with painted paneling. Off the kitchen is an incredible outdoor living area. The large screened porch overlooks a very private, fenced backyard with a patio. There are also two nice size bedrooms, 2 ceramic tile baths and a partial basement with storage. You will fall in love with this house.